There are a few things this week that I cannot live without. These are all great products. Crabtree and Evelyn Hand Lotion in Lavender. I love this stuff! My hands get so dry in the winter and I have tried quite a few hand lotion products. Nothing like this stuff. They re-moisturize your hands but don’t leave your hands feeling greasy. 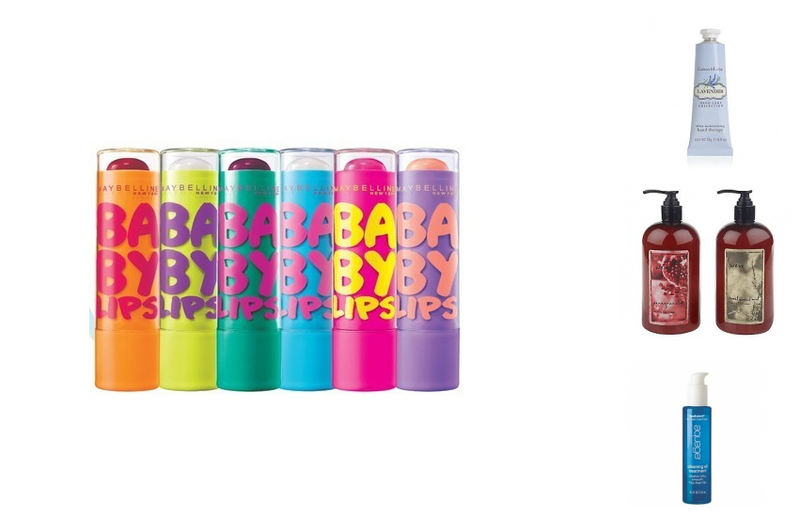 Maybeline’s Baby Lips tinted lip balm. This stuff is great especially in the winter. Again my lips are dry especially in the winter and this is perfect for during the day (even at night) it rehydrates and leaves behind a little color. At around $3.99 you can’t beat the price either. Buy every color. Seaextend Ultimate Colorcare Silkening Oil Treatment by Aquage. This stuff literally transforms my hair. It makes my frizzy, gross, overstyled hair into smooth healthy hair. It’s magic. WEN by Chaz Dean Cleansing Conditioners. This also is hair transformation. Especially in the winter this stuff is great. I like to wash my hair. I am not one of those people you will hear bragging about how many days they have gone without washing their hair. I don’t know how you can do that. With working out and working. I wash my hair everyday. Sometimes twice. I can do that because I use WEN and it is a different way to cleanse your hair.